The pumpkin is a ubiquitous symbol during this time of year. Pumpkins, both the plastic and real kind, are everywhere, and yet at the same time are underrated. There seems to be just a few uses for pumpkins in our national psyche…jack-o-lanterns, pies, and maybe soup. And no, I don’t count pumpkin spice products. Those are often just something with nutmeg and cinnamon in them to make them taste sort of like a pumpkin pie with zero actual pumpkin. The following ideas for expanding your pumpkin horizons, however, use actual pumpkins. A word of advice first: The pumpkins most commonly used for jack-o-lanterns tend to be watery, stringy, and rather bland. The best pumpkins for eating are the pie pumpkins, which are the smaller ones you see at farmers market, or the neck pumpkins, which are the ones that look like a big butternut squash that someone stretched out and curved like an oxen yoke. 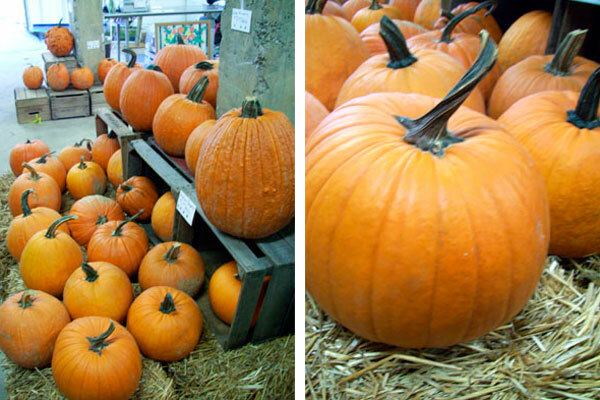 Neck pumpkins are harder to find in this area, but are a popular variety down in the Lancaster and York Counties. This is not to say you can’t do some fun things at the dinner table with a jack-o-lantern pumpkin. One idea is turn one into a centerpiece planter by hollowing it out (save the seeds, more on that later) and then filling it with floral foam for artificial flowers, or dirt if you want to put in a live mum. You can also roast the hollowed pumpkin at 350 degrees for about 30-35 minutes to use it as a bowl for soup or a dip. For eating pumpkins, a good start to using them in recipes is roasting, then pureeing. To make pumpkin puree, all you do is cut a pumpkin in half, and roast it cut-side-down in a baking dish with about a cup or so of water at 350 degrees for 90 minutes. Scoop out the pumpkin flesh, then puree it in a blender or food processor. Now you’re ready to get creative. You can make pumpkin dip with two cups puree, on 8 oz package of cream cheese, two teaspoons of cinnamon, one teaspoon of nutmeg, two cups of confectioners sugar, and a teaspoon of vanilla extract. Blend all together well until smooth, and serve with apple slices and/or gingersnap cookies. You can also make a fantastic fall cocktail by mixing a tablespoon of pumpkin puree with two ounces of cinnamon vodka, a splash of lime juice, and just a smidgen of simple syrup in a shaker, then straining into a glass with crushed ice. This is a fun drink for Halloween parties. Don’t forget…pumpkin puree freezes quite well, so don’t toss any leftovers. Save them for later. Finally, about those pumpkin seeds. A classic fall snack is roasted pumpkin seeds, but there are so many uses for pumpkin seeds. Some people are put off with the idea of trying to shell each individual seed one by one for recipes, but this link offers a good method for quickly shelling a large number of seeds. Once you have a bunch of shelled seeds, start exploring your cookbooks and online recipe sources. Pumpkin seeds are used in a variety of Mexican and Asian dishes, and they make a simple but tasty garnish for salads.